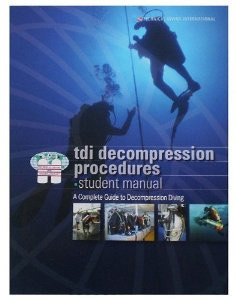 This course examines the theory, methods and procedures of planned stage decompression diving. The objective of this course is to train divers how to plan and conduct a standard staged decompression dive not exceeding a maximum depth of 150fsw/45msw unless taught in conjunction with TDI Advanced Nitrox. The most common equipment requirements, gear set-ups, decompression techniques and decompression mixtures (including oxygen and nitrox) are presented. *Combine this course with TDI Advanced Nitrox for only $849!